PC World has gone through the most popular browsers on the Android platform, and has compared them for speed and features. The test includes both the default browsers that come with Android, as well as what you can download off Android Market and a Fennec (Firefox Mobile) alpha version. The speed results in the table below are pretty self-explanatory, but each browser has been identified with its main strengths and weaknesses, which are worth knowing. The stock Android browsers are decent, but 2.1 is not shining both in terms of rendering speeds or compatibility, while 2.2 is devoid of add-on features. The big advantage of the browser in Android 2.2 (Froyo) is, of course, the Adobe Flash 10.1 support, but not every phone comes with it working properly out of the box. Here the other four notable contenders step in. Dolphin HD loads new sites with speeds comparable to the browser in Android 2.1, which are not impressive, but it has some neat gesture-based navigation features, supports tabbed browsing, and has a catalog with 42 add-ons to extend functionality. Mozilla's Fennec has the bragging rights to be a mobile version of the almighty Firefox, but, being in alpha stage, it comes at 11.5MB and loads forever. It is the slowest site loader of the bunch for now, but has the advantage of syncing capabilities and hundreds of add-ons compatible with its desktop Firefox brethren. Opera Mini is a very popular mobile browser on almost every platform, and it doesn't disappoint in Android either. It offers tabbed browsing, and is optimized for low signal, low bandwidth situations. The pages are compressed and pre-rendered on the company's servers first, piping out only the most significant bits to your device in compact sizes. Add to this a finger-friendly interface, and fast loading speeds (almost second in new websites, and first in saved pages), and Opera Mini proves it is one of the best mobile browsers out there. There is one main disadvantage, though - streaming video is not supported, due to the bandwidth hog it is. And, last but not least, comes SkyFire 2.0. It also uses server-side compression, as Opera Mini does, but its main advantage is that it does so for videos as well. Thus the problem with the lack of proper Flash support is taken care of for most situations. The videos then stream to your device in a more friendly format, that your phone or tablet supports. Another great feature of SkyFire 2.0 is that it can mask itself as a full desktop browser, so if you need a page in its full glory, instead of the mobile-optimized version, you are covered. 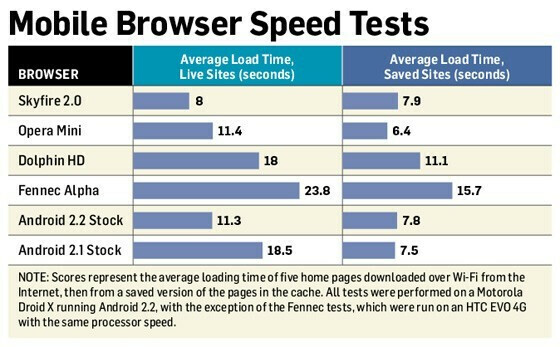 It is also one of the fastest browsers of the bunch - its average loading speeds put it on top for new live sites, and on par with the second-place default browsers, when it comes to saved pages. The catch - all these features make it somewhat unstable. Overall, the results show that the stock Froyo browser is fast enough, and supports Adobe Flash, but if you don't have an Android 2.2 device, you are better off picking another browser. Even with Froyo on board, it all comes down to what additional features and add-ons you might want with your browser. You guys forgot about Xscope. 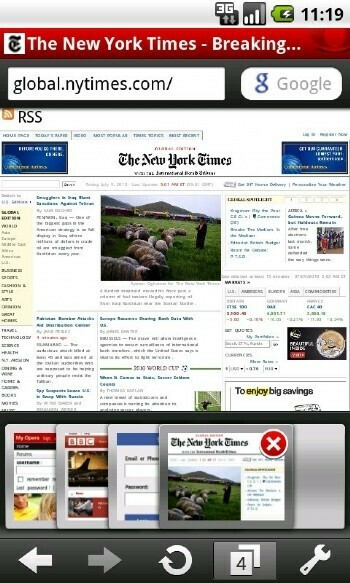 That browser is amazing! Its even better after the newest update. Agreed... Xscope is the best browser... I can download files directly to my D2. They didn't forget anything. Pc world did the study. Phonearena just relays the results. I was wondering about the free edition of xScope - is it the same browser release level as the paid version? Just doesn't have the file browsing and whatnot? I have used all of them and feel Xscope spanks every one of the others. 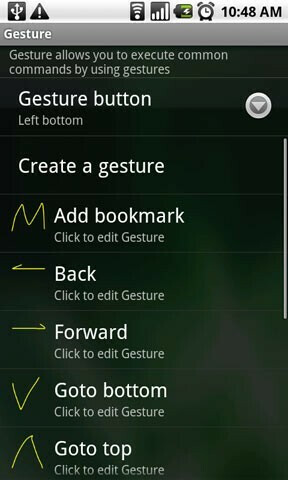 It also has all the best features and a clean, elegant UI! Especially after the latest version was released! Why on earth was it not in this test?